Scalelink | The RETIREMENT SALE - Save now...Limited quantities. Usual price is over £1200.00 . FREE delivery. ONE ONLY. This model is for Hi-rail track 2 or 3-rail operation. It will not run through PECO Finescale pointwork, OK on Maldon Rail or SM32. TWO available. Usual price £59.95 plus delivery. SALE price includes delivery. 1 available. Usual price £59.95 plus delivery. SALE price includes delivery. 3 available. Set contains 4 x Open 3rd's - 8950, 8961, 8993, 9003. SALE price includes UK Delivery, fully insured. 2 available. Usual Price is £425 plus delivery. These superb coaches are manufactured with ABS bodies, die-cast metal bogies, insulated metal wheels, interior lighting, sprung buffers, flexible corridor connectors and working screw-couplings - 42" Minimum radius. 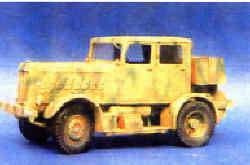 Alexander Models/LSL -built BB71000 for HO 1:87 scale. This is a ready to run model, professionally built, painted & lined from the Alexander Models kit with 2 power bogies. 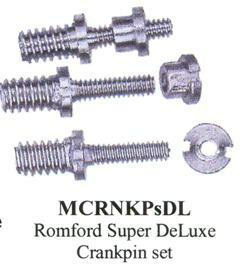 Needs couplings to complete (not supplied). Usual price £330.00 plus delivery. SALE price is £270.00 including free UK delivery. 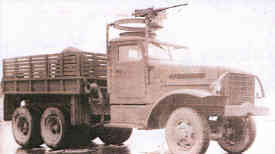 A resin/whitemetal kit to convert the Italieri Opel lorry. Used by the R.A.F. from 1934-1943 - Captured vehicles used by the Wermacht until 1942. Usual price £61.20 plus shipping. SALE price includes UK delivery. 2 available. Usual price £90.00 plus delivery. SALE price includes UK delivery. Usual price is £132.00 plus delivery. SALE price includes UK delivery. 3 available.